Ithal Orotti is a malabar special breakfast/Snack item that is served with any kind of chicken/egg/veg curry or can be eaten as it is.The name of the dish almost conveys you the method of its preparation. 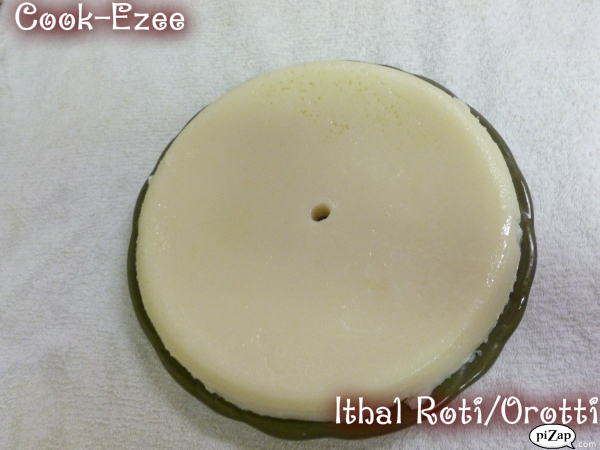 Ithal means Petals/Layers and Orotti means Roti. So this is a layer/petals of rotis made with rice and coconut milk. This is such an easy dish to make, kids and grown ups will love it alike. Soak the rice for 3-4hrs, wash and drain the rice. Grind the soacked ice, parboiled rice, salt and coconut milk together, transfer to a bowl. Spray a flat bottom pan with cooking spray or grease it with butter/oil and pour a big laddle of batter into it and steam it in a Idli cooker or any other steamer to set say 2-3 mins. Repeat this pocess by ghee-coconut milk and batter till the pan is full. Once the pan is full, cook it covered for 5 mins till the Roti is fully done. Switch off the flame and let it cool. Turn over the Roti to a plate. Cut and serve with any Chicken/Egg/Veg curry or serve it as it is. 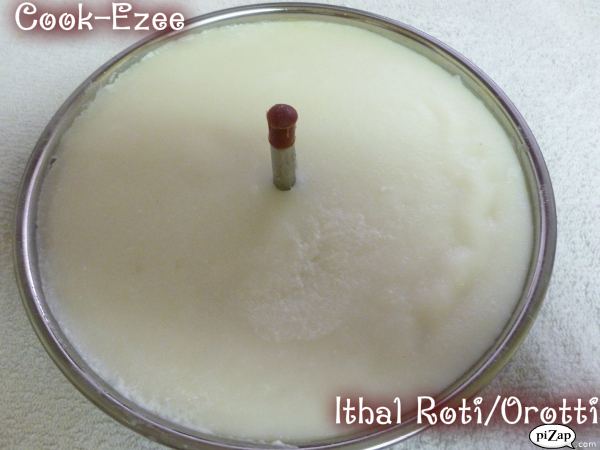 Note:- you can opt of ghee if you are on less fat/cholesterol free diet. 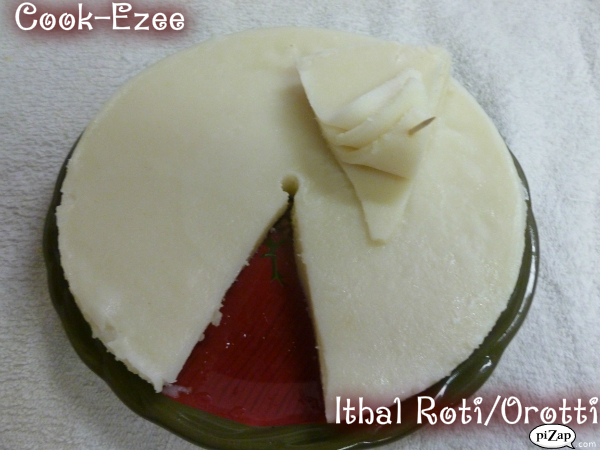 Also you can use either of them ie coconut milk or ghee when you make the layers.